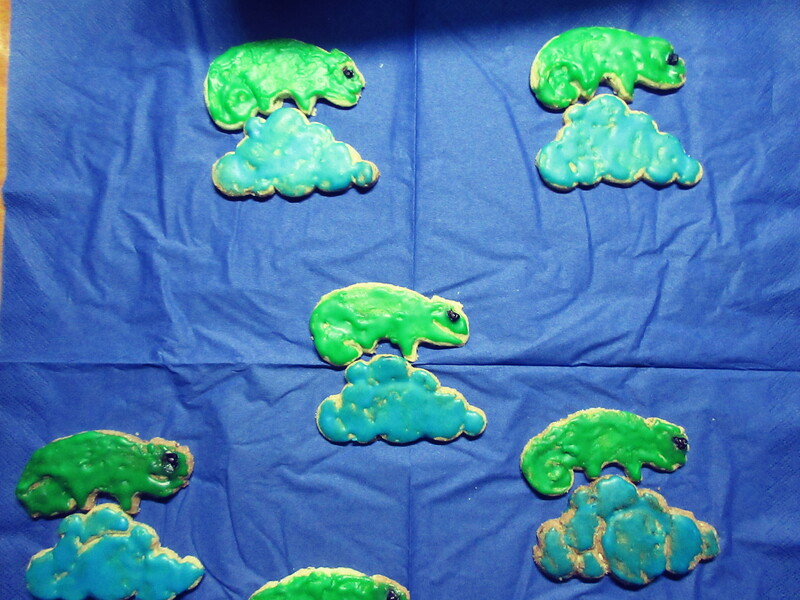 It is Christmas time and I have got cookie cutters by openSUSE and ownCloud. What can you create as a happy Working Student at ownCloud and an openSUSE Contributor? Normally you deploy ownCloud on openSUSE. But do you know the idiom „to be in seventh heaven“ (auf Wolke 7 schweben)? I want to show you openSUSE Leap 42.2 on ownCloud 9. 9.1 is the latest release, and 7 not up to date and insecure for the openSUSE chameleon. The second reason is that the chameleon has got a perfect place on the cloud. You can watch the success in both projects! I wish you all a merry christmas and a lot of fun with your cookie cutters! Wow, that’s what I was seeking for, what a material! existing here at this website, thanks admin of this web site. You understand, a lot of individuals are searching round for this information, you can aid them greatly. Thank you for sharing excellent informations. Your web-site is so cool. I am impressed by the details that you have on this blog. It reveals how nicely you perceive this subject. Bookmarked this website page, will come back for extra articles. You, my pal, ROCK! I found just the information I already searched everywhere and simply couldn’t come across. What an ideal web-site. Just desire to say your article is as surprising. The clearness on your put up is simply nice and i can suppose you are an expert in this subject. Fine together with your permission allow me to grab your feed to keep updated with drawing close post. Thank you one million and please keep up the gratifying work. Hi there, I found your blog by means of Google whilst searching for a comparable matter, your web site came up, it appears great. I have bookmarked it in my google bookmarks. Hey very nice web site!! Man .. Excellent .. Amazing .. I’ll bookmark your web site and take the feeds also…I’m happy to find so many useful information here in the post, we need work out more strategies in this regard, thanks for sharing. . . . . .
Youre so cool! I dont suppose Ive learn something like this before. So nice to seek out any person with some unique ideas on this subject. realy thank you for beginning this up. this website is one thing that’s needed on the net, someone with a bit originality. useful job for bringing one thing new to the web! That is created for my own. Hi, I do believe this is a great site. I stumbledupon it 😉 I am going to return once again since I saved as a favorite it. Money and freedom is the greatest way to change, may you be rich and continue to guide others.